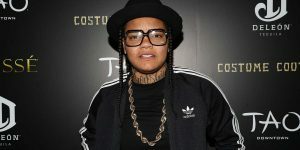 Young M.A has been very open about her sexual orientation as a lesbian, but that has not stopped Kodak Black from shooting his shot. He has been very public about his interest in her, and she seems to be bothered by it. Last month, Kodak commented “Both Of Y’all a Get It” on an Instagram photo of M.A. and Nicki Minaj. Then, he dropped a track called “Pimpin Ain’t Eazy” featuring multiple references to Young M.A. During a recent Instagram Live session, Young M.A addressed Kodak’s lewd comments about her.